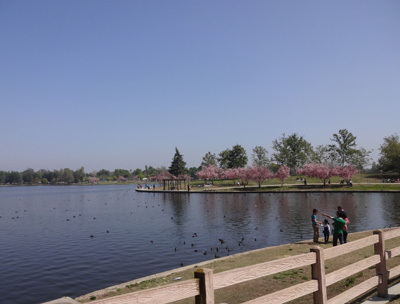 In Los Angeles, on the southern edge of Van Nuys, just off Balboa Boulevard, lies a surprising, wonderful little retreat from Los Angeles: Anthony C. Beilenson Park (FKA: Balboa Park). A person could easily drive right by the entrance without getting much of a clue as to what lies inside. 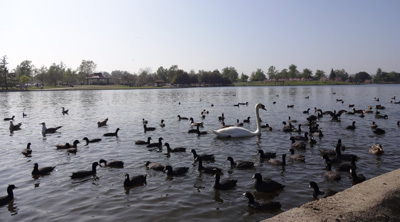 Anthony C. Beilenson Park is home to a sprawling, 27-acre, man-made lake filled with reclaimed water where ducks, swans, water birds, a few turtles, and tons of coots (AKA: “pirate birds” in part due to their red eyes, black bodies, and white beaks) float about. The lake is stocked with fish for fishing. It is encircled by a 1.3-mile cement walking path, with scattered benches for resting and taking in the view. Near the southeast side is a large playground area. 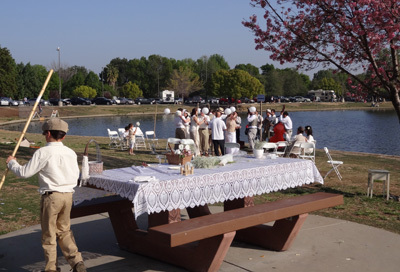 In the grass on either side of the walking path, families, friends, and couples rest and picnic. Children’s birthday parties are a frequent sight on weekends. The park is much more sedate on weekdays. 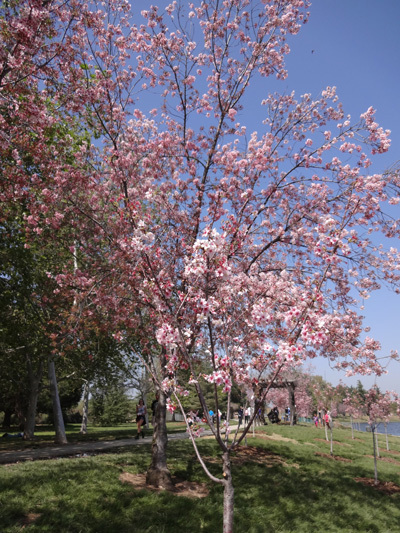 On one Saturday when I visited, a gorgeous 1920’s-themed wedding took place with the lake and blossoming cherry trees (the trees blossom for a few weeks, usually in March) as a backdrop. 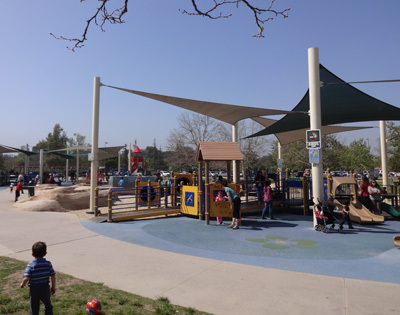 Anthony C. Beilenson Park is located at 6300 Balboa Blvd., Van Nuys, CA 91406. The park is usually open from sunrise to sunset, seven days per week, although it is subject to closure for inclement weather. I did this most recently in 2018, in Los Angeles, California, USA. Check out the novel Lost in Los Angeles, a gripping story set in this remarkable city. The characters hike to the Hollywood Sign and experience many other bucket-list-worthy L.A. adventures. Find Lost in Los Angeles by J.W. Lynne on Amazon.com. Don't miss this powerful, romantic story with a shocking twist that you'll never see coming! Just weeks after eighteen-year-old Erin tragically loses her best friend, she is brutally betrayed by her high school crush. Plagued by crippling anxiety attacks and disconcerting visions of her dead friend, Erin travels to Los Angeles, searching for a sign that life is still worth living. Shortly after she arrives in L.A., she meets Ben, a mysterious man who captures both her curiosity and her heart. As they explore Los Angeles together, Ben reveals shocking secrets of his tragic childhood and helps Erin believe that she can heal from the wounds of her traumatic past. But Ben is hiding a horrible secret. A secret that could destroy her. If you love inspiring romantic contemporary novels, don't miss this powerful read! LOST IN LOS ANGELES gives us an insider's Los Angeles travel guide wrapped in a coming-of-age story of healing and hope, with an ending that you won't see coming. LOST IN LOS ANGELES is available as a Kindle ebook and in paperback.